Sing forth the new texts with powerful yet familiar melodies from this contemporary Mass setting arranged by Ken Canedo and Bob Hurd! Proclaim the new texts with joy thanks to the powerful, yet prayerful, themes of this popular Mass. 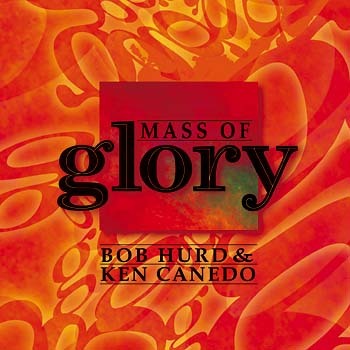 Featuring a unique blend of musical styles, Mass of Glory is sure to renew your enthusiasm with fully revised musical elements that thoughtfully serve the new Order of Mass, and help you provide your congregation with a a smooth transition from the old to the new. This contemporary Mass draws from a blend of musical styles, combining traditional Catholic music along with jazz, blues, folk, rock and other indigenous American influences to create something that is wholly unique. This incredible mix of music is one of the main reasons why so many communities have embraced Mass of Glory, and have made it a regular part of their liturgy. Supplemental songbooks provide all necessary accompaniment music for guitar, piano, keyboard and organ, and the choral songbook is scored for SATB choir. Additional solo instrumentation is also available in C and Bb, so the options abound for your community to make a joyful noise. Whatever your needs, whatever your parish size—anything from a small town mission church to a gothic cathedral, any place where people are gathered in his name—Mass of Glory is the ideal Mass setting to lead the faithful in your community as they celebrate the Eucharist.